Bacardi is raising awareness of the Martini brand with “Luck is an Attitude”, an advertising campaign developed by French agency Fred & Farid. The campaign began with a “Kisser Casting” talent quest launched on Facebook across sixteen European countries. The successful candidate, chosen by a high profile panel led by supermodel David Gandy, would be required to kiss ten women in the new worldwide television commercial. Winner was Italian actor Yuri Buzzi, chosen from more than 4,000 applicants. The commercial, shown in split screens, shows the parallel paths of Yuri as he responds to the same opportunities in different ways. The TV campaign is connected with a print advertising campaign shot by photographer Phil Poynter. 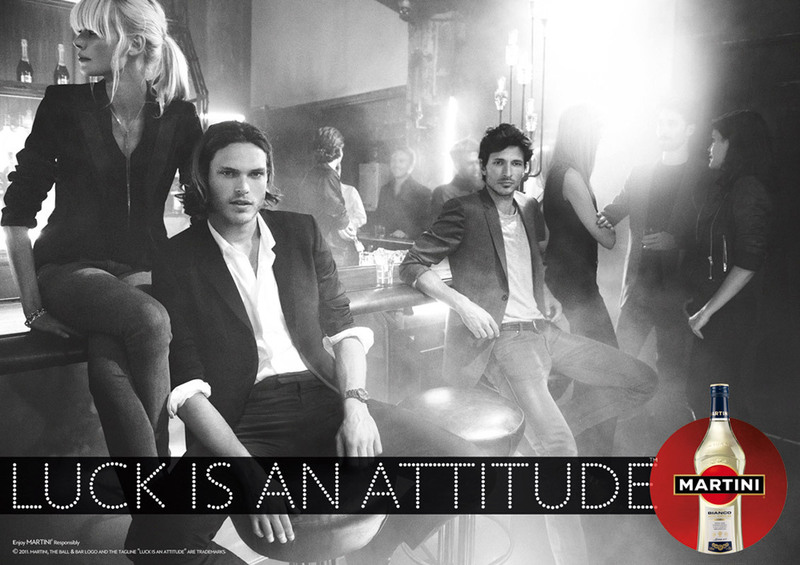 The Luck is an Attitude campaign was developed at Fred & Farid, Paris, by creative directors/copywriters/art directors Fred Raillard and Farid Mokart, business director Rasjida Bouharrak, agency producer Kate Taylor, working with Martini global brand director Arnaud Meysselle. Filming was shot by director Peter Thwaites via Gorgeous, London, with producer Anna Hashmi, director of photography Damien Morisot and production designer Robin Brown. Editor was Bill Smedley at Work Post. Post production was done at The Mill, London. Music is “Oh Johnny, Oh Johnny Oh”, performed by The Andrew Sisters, produced at Sizzer Amsterdam. 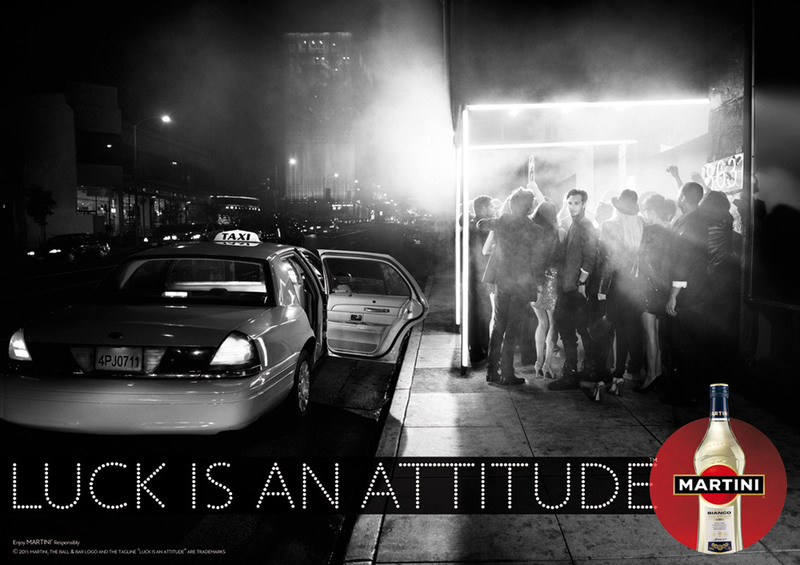 Print advertisements were shot by photographer Phil Poynter.